The LaserJet 3015 All-In-One integrates a high-speed monochrome printer, sheet-fed scanner, a copier and fax machine into one unit to save you time, money and aggravation. Because all four functions are designed to work together, you'll spend less time running cables and learning the vagaries of the new office contraption and spend more time using it productively. Thanks to its 700MHz processor and 256MB standard RAM (expandable to 512MB), now you can enjoy these incredible speeds. Meanwhile, this printer features a maximum 2400 dpi resolution for exceptional quality, and its duty cycle reaches 100,000 pages per month, so you don't have to worry about overworking it. 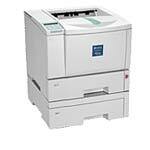 The HP LaserJet 3500's instant-on fuser produces the first page of each print job in less than 22 seconds. 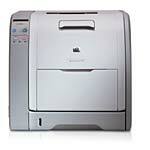 Thanks to its 64MB of RAM, the 3500 accommodates the demands of your personal or shared printing needs. This translates into high quality color printing at 2400 dpi resolution. 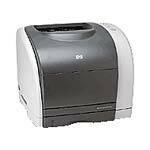 Driven by its 500MHz processor, the Lexmark C510n Color Laser Printer provides speeds of 30ppm in black and 8ppm in color with the first page out in 13 seconds (19 seconds color). 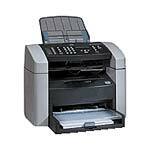 Your documents and images will be sharp and brilliant with the C510n's 1200 x 1200dpi resolution. 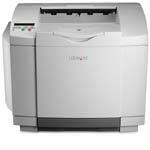 The HL-5170DN produces crisp text and graphics at up to a fast 21ppm. You don't have to sacrifice quality, either. Resolutions reach 2400 x 600 dpi, thanks to Brother's HQ1200 technology. The HL-5170DN automatically switches between PCL6, BR-Script 3 (PS/3 emulation), Epson FX and IBM Proprinter emulations. 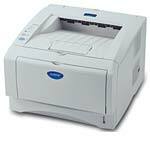 The MFC-8220 is a full-feature fax, an up to 21ppm laser printer, a 600dpi copier and a 300 x 600dpi scanner all rolled into one. 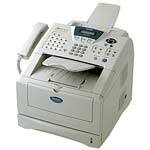 The fax machine comes with a 33.6Kbps high speed Super G3 fax modem and 32MB of memory to store up to 600 fax pages. The HP Color LaserJet 2550n is based on a 264 MHz Motorola CFV4e processor, and comes with 64MB of upgradeable memory for seamless printing of even the most complex color files. It prints black and white documents at a maximum of 20 pages per minute and color at 4 pages per minute. This impressively productive and cost-effective desktop printer brings the quality and speed you would expect from products twice the price and size. Ricoh establishes a new standard in desktop printing with the AP410. 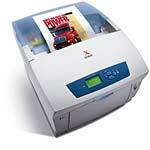 This printer is ready to deliver and enhance any printing environment.